Indian Express carried excerpts of Kanhaiya’s speech and asked “Is this sedition?”I decided to attempt an answer. Dealing with the offence of sedition the Supreme Court has declared that words, deeds or writings involving an intention or tendency to create disorder or disturbance of law and order or incitement to violence can attract the offence. It is not necessary that there be incitement of violence nor is it necessary that there be a violent act accompanying it. In fact Stephen in the Commentaries on the Laws of England has clearly stated that sedition need not involve “the use of force or violence”. Subversive speech, thus, can attract the charge of sedition. Subversion weakens a political regime and carries the tendency to public disorder. Preservation of “public order” is a legitimate restraint on freedom of speech. Before dealing with the effect of such probing questions it would be appropriate to first know who actually these individuals are. Kasab was a Pakistani militant a member of the Laskar e Taiba. Lashkar is a banned terrorist organisation (not in India alone but Russia, Australia, European Union, UK and USA) with the stated objective of establishing Islamic State in South Asia. Kasab took part in the 2008 Mumbai Terrorist Attack (LeT was earlier also involved in the 2001 Parliament Attack). The Mumbai attack was a series of coordinated shooting and bombing attacks which continued over four days killing 164 people and wounding several hundred more. Kasab was shown videos of targets in training camps in Pakistan which videos were made by David Headley. And he is reported to have said “come kill and die after a killing spree. By this one will become famous and will make God proud.” Lakhwi however claims Kasab is alive! Afzal Guru was convicted in the 2001 Terrorist Attack on Parliament. He had been charged, apart from murder, conspiracy, harbouring terrorists and facilitating terrorist attacks withe the offence of waging war against India. Guru was convicted by the Sessions Court in 2002. The conviction was upheld by the High Court in 2003. 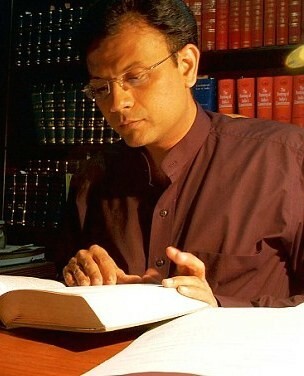 His appeal before the Supreme Court was dismissed in 2005 and the Review Petition was dismissed in 2007. Any other Indian would have been hanged sooner but Guru was executed only in 2013. Afzal Guru was thus a person who the legal system (in which Kanhaiya professed faith on being arrested himself) proved was a notorious terrorist inimical to India. The facts mentioned are in public domain. Kanhaiya therefore cannot obviously be seeking an answer. He is actually making a statement. In his speech Kanhaiya is criticizing the existing system and mentioning many of its maladies. And in the course of that exposition he uses Kasab and Guru as illustrations. Questions are asked only rhetorically. They are in fact cited as instances of abuse in the system. This is why he is liable to be charged for sedition. Kanhaiya a free and autonomous being is entitled to his opinion. From the opinion however an inference about a person can be derived. And on examination of the same one finds Kanhaiya feels the case of Kasab is no different from Guru. He feels no outrage or anger at a Pakistani wantonly killing Indians and disturbing public order in the country. In clubbing Guru with Kasab he believes there is identity in the interests of both (Kasab and Guru) and an Indian (Guru) therefore can act much in the same manner as Pakistani (Kasab)and be motivated against the country with the same hostile intent. The destruction and violence in the country, the systematic and continuous assault on its existence and its being kept under siege as a deliberate strategy of bleeding it with a thousand cuts affects him less than fate of those who brought it about. Can his loyalty be said to be to India? I do not use the expression as “Mother India” but instead of India as incorporated in the Constitution, “Sovereign” as its Preamble states with the right and power to govern without outside interference and a “union of states” as mentioned in Article 1 with Kashmir an integral part of it. India as constitutionally ordained is a shared perception given to ourselves by “we the people” and but Kanhaiya has affinity with those hostile to that view. Is this not subversive? It is subversion which sedition targets. Kanhaiya’s statement is actually subversive. India should celebrate the fact that Kasab and Guru “reached a point they were willing to blow themselves up.” Had they instead succeeded India would have “blown up”! By pleading their case and regretting the outcome he can well be described as seditious to the Indian cause, be shown as being willing to be party to weakening of the country and the overthrow of the system and is using his freedom as a licence to foment public disorder. How can he plead the cause of Indians if he is alien to India as constitutionally sanctioned? The treachery of any false Indian (in the Constitutional sense) should never prevail because of the weakness of a true one. Indian Express reported Mr Soli Sorabjee describing the JNU President’s arrest “deplorable”. It is interesting to read the reasons for his opinion. I found them incongruous. In the existing scheme of things the presumption is I am wrong (and prejudiced) in not condemning the arrest. I therefore read the comments again but unfortunately(?) it only confirmed my original opinion (which makes me rabidly communal, casteist and unpatriotic?). Please judge for yourself. The comment which follows makes the situation clearer still (or does it?) and fills me with self-loathing. Mr Sorabjee next says “Even if you say Hindustan murdabad its a boderline case since these words have the tendency to create a law and order problem.” Thus even Mr Sorabjee agrees that where there is a tendency to create a law an order problem we may consider making the act criminal; of-course, in his opinion, there will be no law and order problem if you shout Pakistan Zindabad(as it is not a “borderline case” like Hindustan Murdabad but a clearly a non-issue) – and an acceptable war cry of any Indian! I now realise that apart from not being sensible enough to know there cannot possibly be a law and order problem if Pakistan Zindabad is shouted, I am not patriotic enough to shout it or tolerate its being shouted. Anyway coming back to Mr Sorabjee. He is sure that Pakistan zindabad is not sedition but he is not sure if Hindustan murdabad is sedition. This creates a piquant situation but only for a stupid, irrational, unwise and unpatriotic a person like me. Please consider the consequences. An Indian (according to Mr Sorabjee) is immune against action if he shouts Pakistan Zindabad but if he shouts Hindustan Murdabad its impropriety needs to be debated. And debate is protected! But if debate is protected how can that which is being debated (Hindustan Murdabad) be the cause of arrest? Arrest thus will be unwarranted in both cases whether you shout Pakistan Zindabad or Hindustan Murdabad! Indians can thus travel the length and breadth of the country either shouting Pakistan Zindabad or Hindustan Murdabad. Here comes the catch. If I protest against either I am liable to be arrested for objecting to legitimate political action. Hence I am not just not sensible or not patriotic but I am a criminal in addition uneducated in basic constitutional values!! Why then make any distinction between the two? Thats the point. It shows the offence of sedition should not be on the statute book! It is indeed pointless. Pakistan Zindabad Hindustan Murdabad is acceptable political discourse and truly legitimate. And dare I object. “We should take things”, said Mr Sorabjee, “in the right perspective” and not “overreact”. My reaction to Pakistan Zindabad and Hindustan Murdabad will always be an “overreaction” because I lack the “right perspective” to tolerate it. So my mind-set is bad and my way of looking at things wrong. I am communal, irrational and unpatriotic and need to be punished for such deviance. I am after all an Indian who will never shout Pakistan Zindabad or Hindustan Murdabad. “Dont let these bullies push you around. They are terrified of poor, weak Indian people getting a voice. Question them at every single step.” Thus spoke the Original Wise Man (Rahul Gandhi) at JNU. I took the sage advice given by Rahul Gandhi. I am not “poor” or “weak” but I am an Indian and I feel a right to question is available to all. Rahul Gandhi being an original thinker will surely agree with this proposition. Rahul Gandhi did not include himself in the category of “bullies” but the exclusion notwithstanding he can yet be questioned. Rahul, being wise, can have no objection. And as the question can be raised at every single step I am definitely not late in questioning. Rahul Gandhi is surely man enough to accept it. Using Rahul Gandhi repeatedly can be tedious and Original Wise Man though appropriate is too long so I will substitute both expressions with the pronoun “you” – an expression which will assume significance for different reasons later in this article. You asked a question about “who anti-national people are” and answered yourself that they are the ones “suppressing the voice of JNU”. What according to you is the “voice of JNU”? Is it of the students who eulogise Afzal Guru and pray for India’s disintegration or those who oppose this point of view? Why did you not address this question while dealing with a very pertinent issue of defining “anti-national people”? You talked about the “real Indian people” but chose not to elaborate about who constitutes this class. Why did you fight shy of developing the concept? Were you afraid of un-personing those who do not share your point of view or are only those people “real Indians” whom you approve and certify. I feel Kanhaiya who is accused, among other things, of shouting anti-India slogans can justifiably be tried for sedition under the Indian Penal Code. Does that take me out of the category of a “real Indian”? You said that in “crushing you” they will make “you stronger”. Who is the “you” here and who are “they”? “You” is a pronoun and refers to the ones being addressed. Does it follow only those who listen to you and cheer you are the ones who should be empowered and made “stronger”? Was the free and enthusiastic crowd (the “you”) cheering you (without inverted commas) yelling approval to what you (not the other “you”) spoke a “crushed” people? I will not cheer you for what you did in JNU but will roundly condemn you. I am part of “they”. Are you suggesting I am for that reason any less Indian? You also said “they feel fear”. It is obvious in your scheme of things I am “they”. But I feel no fear when you talk the way you do. I feel disgust. And I feel pain. And while I am not “crushed” – not because you have spared any effort but because my spirit is vigorous than your resolve – I will yet be strong to secure my country which for you is merely a slogan. If anyone is “terrified” its not “they” (I mean me) but you (not the “you”) and the speech appears only an attempt by you to rationalise for yourself your own rejection. You claim to speak for the “real Indian people who have a voice”. It is a false claim. The real Indian people voted your party out of power. Or is it that you feel they are not “people” or are they not “real people” or that they are a people who should be denied a “voice”? There is an essay “In Praise of Folly” which was a attack on certain traditions of the European society and Church in which “Folly “praises itself. “Folly” in that essay is nursed by “ignorance” and has “flattery”, “self-love” and “madness” as companions with “intemperance” as God. I feel you read it for the literal meaning. The essay was meant to be a satire. And being a satire the expression was meant to be different from if not opposite to what was suggested. Which brings me to the final question. Will we now have an encore? Or do you feel you are not to be questioned! I was less horrified by the louts of JNU who shouted themselves hoarse for the terrorist Afzal Guru, an arch enemy of India, and wantonly showed extreme malevolence towards the country through slogans steeped in hate in a ferociously savage display of anti-national sentiments than by the comment of Justice A.P.Shah who chose not to comment on this feral display of untamed animosity towards the country and instead rued, and I quote him, “executive let him(Afzal Guru)down”!! A phrasal verb of “let” the expression “let him down” means failing to support or help someone as they hoped. Its synonyms are disillusioned, disappointed and forsaken. The “executive”, and I presume Justice Shah was referring to the Government of India, thus (so Justice Shah believes) failed to support or help Afzal Guru and in this failure disappointed him (Afzal Guru) who thus felt “let down”. Now louts (like the howling wailing assortment of Afzal Guru supporters) are proven bumpkins who are known to act like philistines and to expect them to show any intelligence, sense or luminosity would be utterly foolish but a retired Chief Justice of a reputed High Court of the country is judged by different standards for obvious reasons. Or can it? If Indian government “let Afzal Guru down”, as Justice Shah believes, it would have betrayed its trust. The “betrayal” would entail that India behaved traitorously towards him. And this, in turn, would mean that it violated a compact with Guru that the latter could join in the conspiracy to attack Parliament, kill people, and be exempt from punishment. This put me in a dilemma. Punishment could only follow prosecution. And if punishment was wrong prosecution could not be justified. Afzal Guru could not have been arrested in the first place! Justice Shah does not seem to support this extreme position. His objection is to the imposition of death sentence. But here comes the Afzal Guru Paradox – the credit for which goes to Justice Shah. If Afzal Guru was expected to attack Parliament and he acted accordingly as to make his punishment for it an act of betrayal by the government how could he be given any punishment at all be it death or sentence for life the latter being the one Justice Shah was a votary of? There is a contradiction inherent in the comment. Or does Justice Shah believe Afzal Guru should not have been punished? That is the only way the “let down” comment can be justified. The man then is not a criminal but a martyr. The heroic act of attacking Parliament and the selfless killing of people showed Afzal Guru’s love for India for which he died!! Is this not what the louts of JNU were contending? The similarity with louts should be embarrassing for Justice Shah. The embarrassment, however, would falsify the comment! This topsy turvy world reveals a contradiction in the reasoning and the argument of a learned Judge. Can then the noisy yelling and bellowing equivalent of the same be coherent or justified? If anyone is let down it is our country and its countrymen. First by the delayed punishment to Afzal Guru and now wailing frenzy of the uncouths of JNU and then by the teary-eyed comment of Justice Shah.